Once I had the Diplomat Aero in my hand, the first thing that really impressed me was the look of this pen. I really do think this is one of the most impressive looking fountain pens in my collection. The barrel and cap are sculpted anodised aluminium inspired to resemble a Zeppelin Air ship (not the band!). 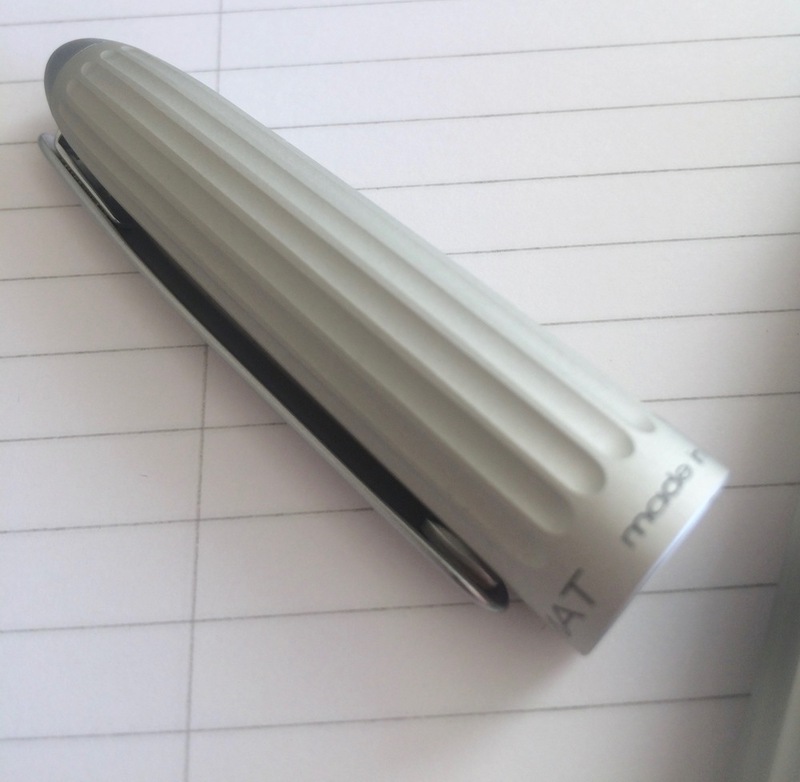 A bonus of this type of design is that whilst making the Aero look unique, the recessions in the barrel and cap actually reduce the overall weight of the pen. Meaning you end up with a pen that is not super heavy given the all metal build. In fact, I have found this to be a fairly well balanced pen with its weight. With regards to the cap, this has really been the only part of the Areo journey that I haven’t enjoyed that much as I find it requires a silly amount of strength to actually remove the cap. This is also true when capping the pen. I’m unsure if this is meant to be the case or is it a one off with the pen I received. Posting is far more enjoyable however. The length of the barrel means that you can use this pen uncapped and it feels very comfortable in the hand which is great for long writing sessions. This is the same even if the cap is posted, it really doesn’t add too much length or make the pen feel top heavy. Where the Areo really excels is with its nib. I went for a medium nib and this is a great nib. Add the additional fact that the feed is also really good, this gives you a wonderful writing experience. 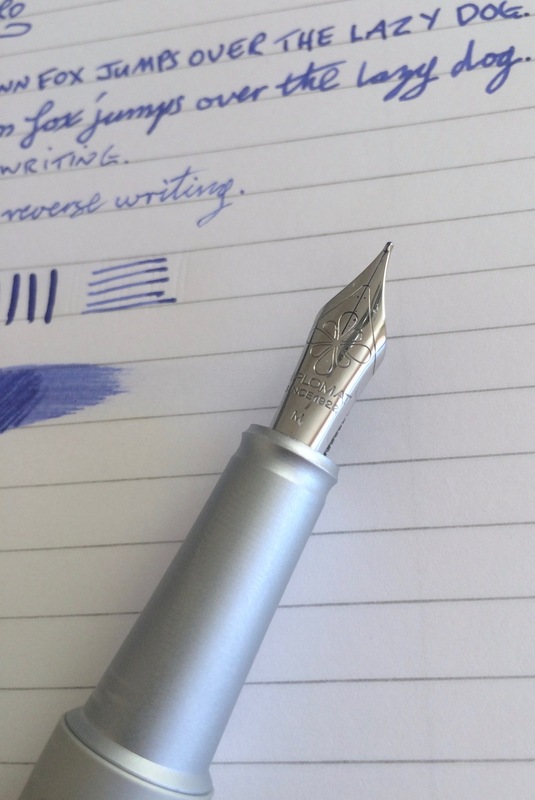 You can write slowly or fast and the nib doesn’t skip a beat. It is stiff but has enough bounce to enable you to get some line variation (which is an added bonus). During writing, I did notice that if the nib moves in the right to left direction, it did become a tad bit scratchy but this was the only time I came across this. You can do reverse writing which produced a thin line but it was super scratchy and did not make for enjoyable writing at all. Overall I think this is a good pen but my stumbling block is the price, its £120 and for me, I am unsure if the overall experience justifies that cost. 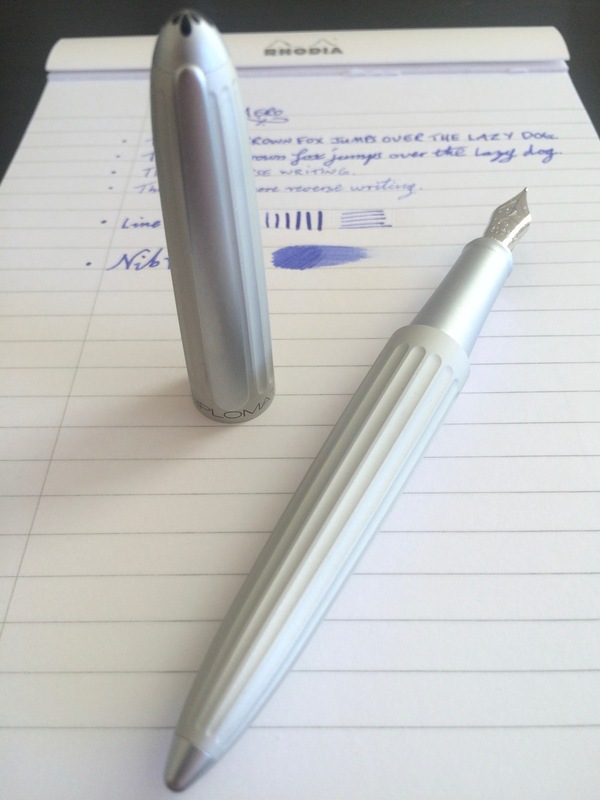 You are getting fairly close to the cost of a Lamy 2000 (which is one of my favourite pens) or other worthy pen resulting in choosing the better of the two. Otherwise, a great pen! Many artists seem to love this pen but how does it fair as an everyday pen? This really is a loaded question as this pen is very long in length which kinda makes it a great everyday desk pen but I personally couldn't see this work as a daily carry pen. I can understand why artists like this pen as it lays down a fairly wet line which I am guessing would be great for adding shading to a drawing. I think this functions brilliantly as a desk pen thanks to its practical holder. It looks really smart with its black barrel and gold trim and the barrel shape reminds me of a long thin tear drop that is hanging precariously from a tree branch. What I mean by this is that it looks so stretched, it is about to fall! It's an all plastic affair regarding the material used for the barrel which makes this a super light pen to hold. It has a smooth finish and is very comfortable to grip and use for long periods of time. The nib is an Extra-Fine (no other nib sizes are available) and it's a great nib which suits its needs. It's very smooth but strangely, it produces a serious amount of noise which to anyone watching you use this pen, would actually think the nib is super scratchy. 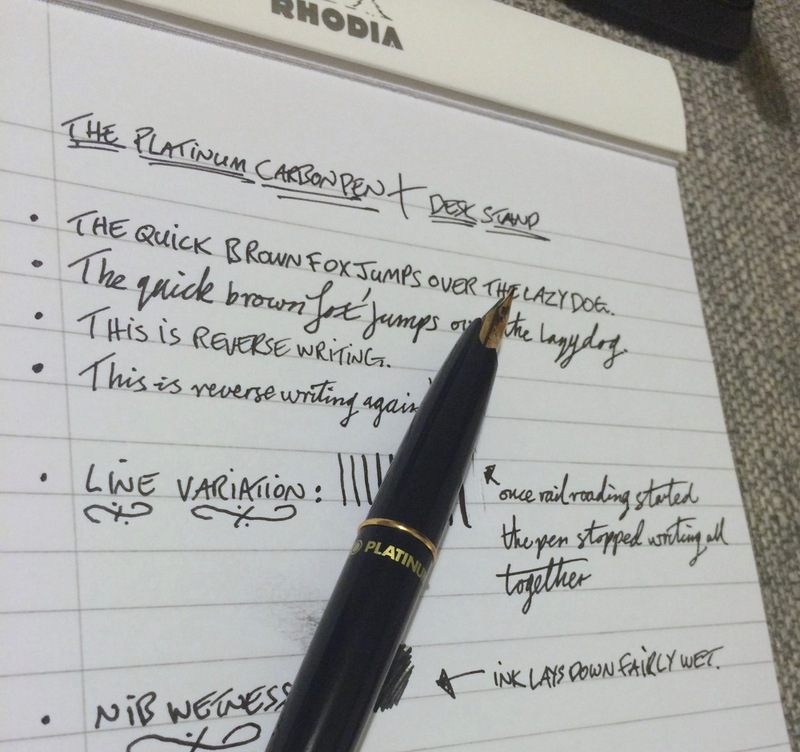 The feed worked brilliantly as it supplied a steady flow of ink to the nib. When I was testing the line variation I did find that if you pushed it too far, it would railroad and stop writing all together. I found a few firm shakes got it going again though. With the nib, it actually works really well for reverse writing which lays down an even thinner line. In saying this, the feedback is crazy and the noise is so loud. I really would recommend investing in the desk stand as this would mean you can bin the cap they provide. It is flat out the most hideous cap I have every seen! Imagine a really stream line design that uses a run of the mill cap..... Honestly, buy the desk stand. How have I been using this pen you may ask? I have actually be using it to make notes and lay down small alterations to a font I have been producing. I find that the extra fine nib has been fantastic at writing small notes and drawing potential alterations I could make to a particular glyph. Overall, this pen has really surprised me and even worked its way into my daily use when I am working in the home office. This pen is not just great for artistic uses but also as a desk pen.